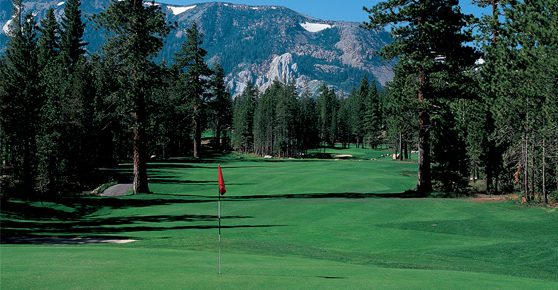 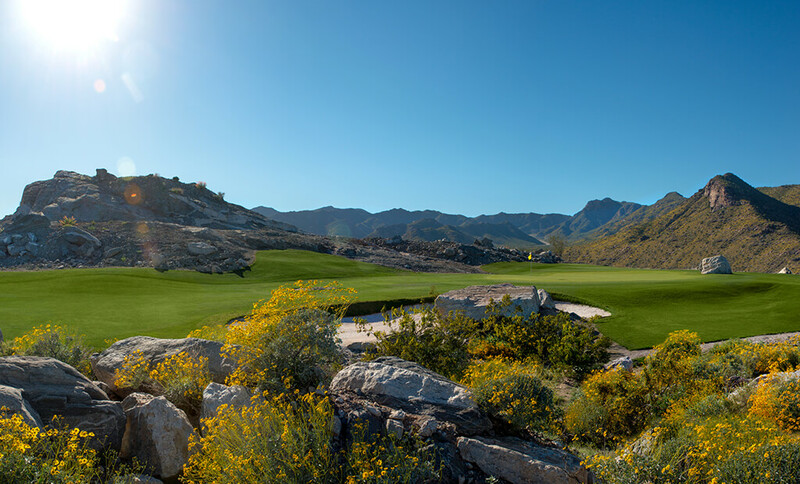 As the calendar slides from February into March, as the Super Bowl fades well into the rear-view mirror and March Madness lurks a couple doglegs down the road, there’s one late-winter sporting sweetspot to hit without fail, especially if you’re a golfer and a baseball fan: A Spring Training roadtrip to the Valley of the Sun, a.k.a. 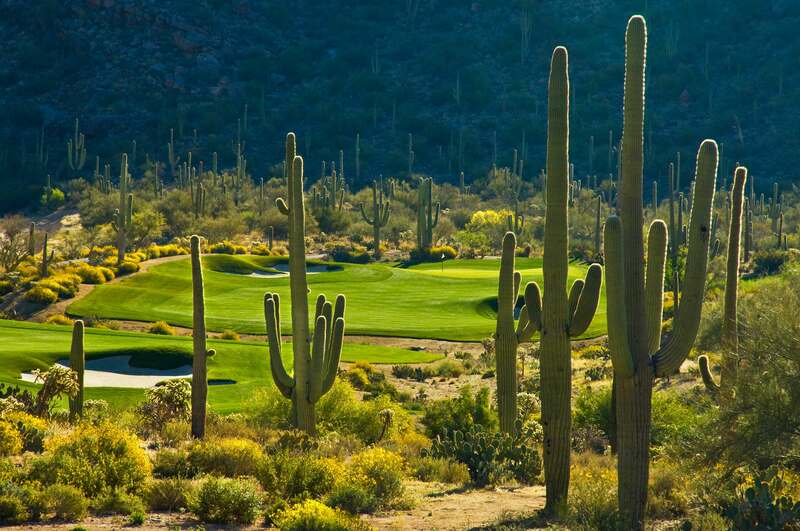 Phoenix-Scottsdale and environs. 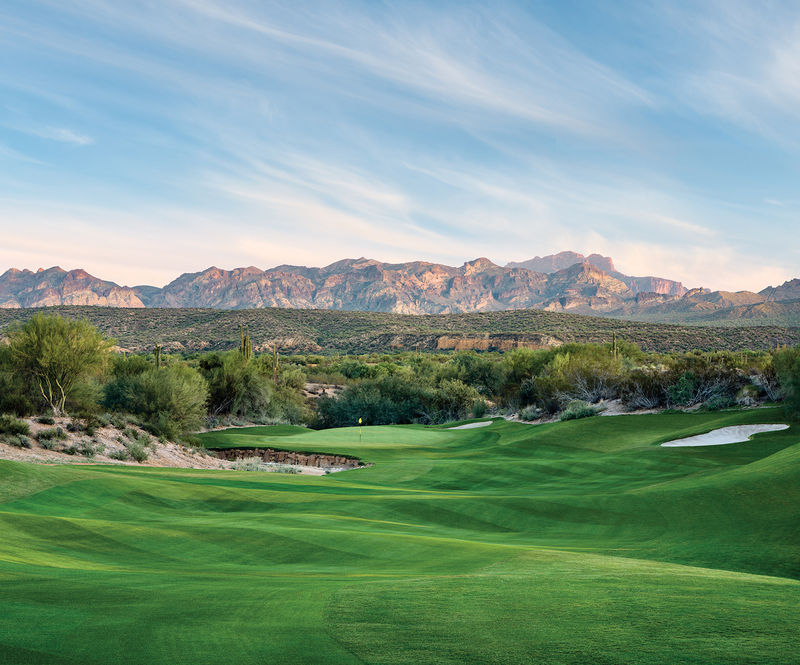 Nestled in the foothills of the McDowell Mountains, Eagle Mountain Golf Club and the Inn at Eagle Mountain offer an intimate getaway just eight miles from downtown Scottsdale. 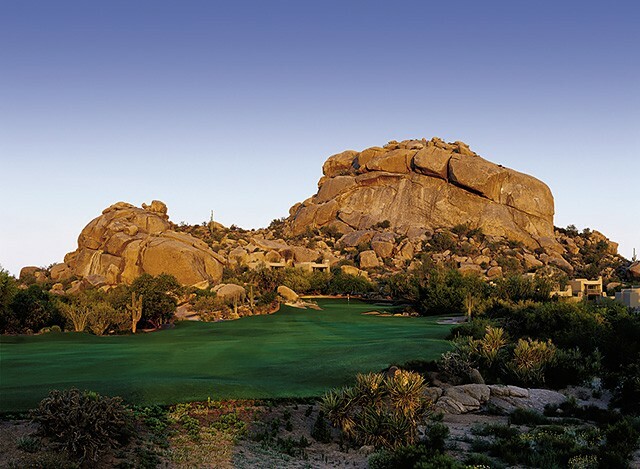 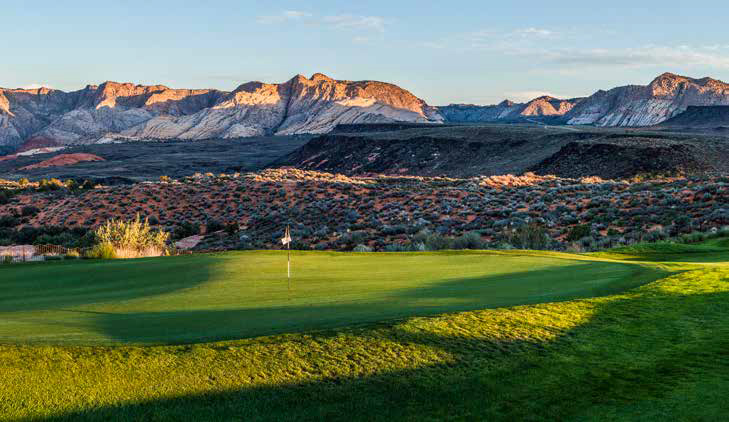 Smaller in size than other Phoenix-area resorts (Eagle Mountain is more of a retreat than a resort), its 42 “mini suites” are terraced onto a hillside and offer postcard views of the golf course and valley far below. 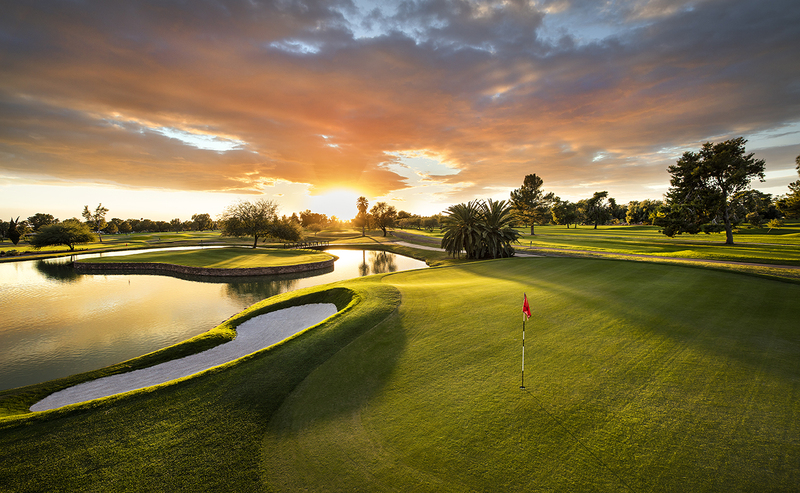 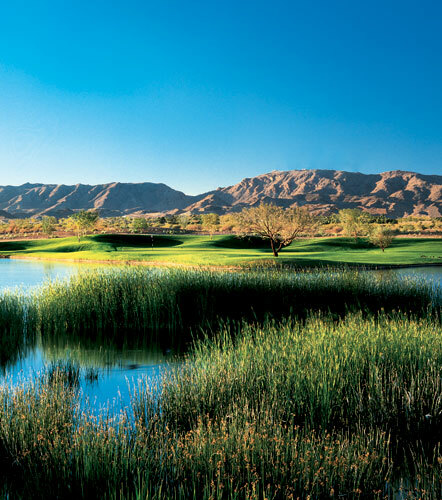 With more than 100 golf courses, the Phoenix-Scottsdale area has enough variety to satisfy golfers of all skill levels and budgets.